In the words of Oprah, I LOVE bread! I love the smell of freshly baked bread, I love toast, and dipping bread into soup. I love a sandwich with freshly baked bread. If you have an allergy or a gluten intolerance, I agree bread should be removed for health reasons but otherwise, a little bread isn’t a bad thing. In fact, it’s a personal joy of mine. 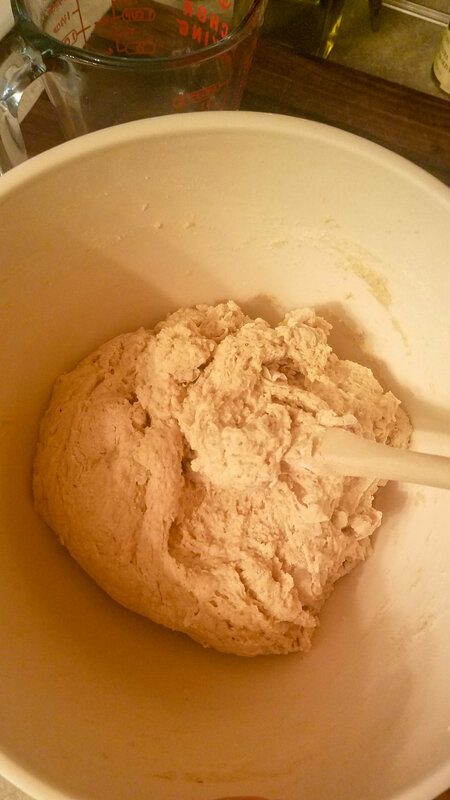 The problems are introduced with the amount consumed and the ingredients in the bread. The food industry sneaks sugar into everything! And a LOT of it. The reason makes sense: sugar is addicting and if you are hooked, you’ll keep buying more. That is why you’ll find sugar in sauces, panko, meats, some canned goods, and bread (sigh). After getting back into my fitness routine, I was challenged to cut out sugar for a week. I’ve done the paleo diet and a whole 30 challenge but this was different because I had no other restrictions but sugar. This seemed easy enough until I started looking at the labels. 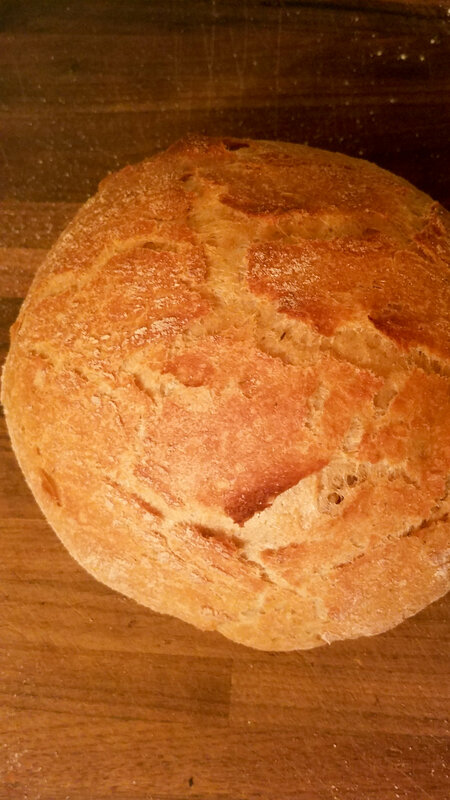 Once I realized how much sugar was in most store bought bread, I started making our own bread and haven’t looked back. 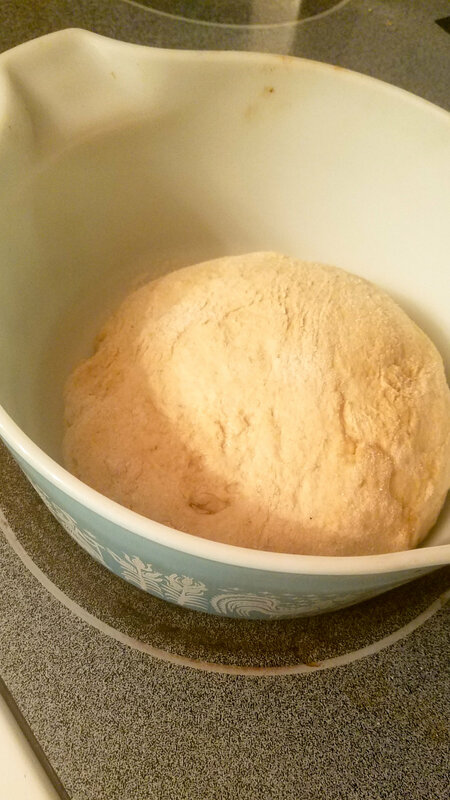 While I still need to work on making a sourdough, this basic bread recipe is easy, delicious, and doesn’t include any refined sugar. Add honey and yeast (plastic or wood measuring tool, not metal) to water. Remove from dish and let cool.